We’ve gotten hooked on pomegranates and eagerly look forward to the autumn pomegranate season. Our love for the fruit led us to plant a pomegranate tree this year, which will hopefully give us a harvest of our own pomegranates in a couple years. 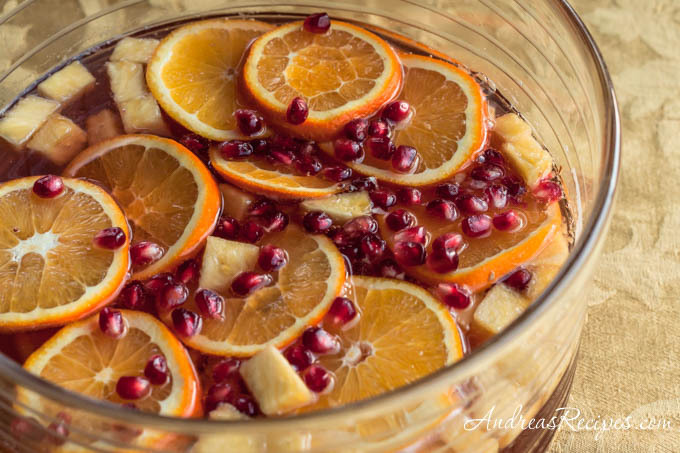 And of course we will promptly toss the arils into a bowl of this punch. Now that is a treat worth waiting for. 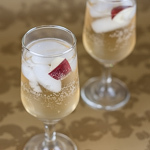 I can’t help it, I’m a sucker for a good party punch, especially when bubbly wine is involved. 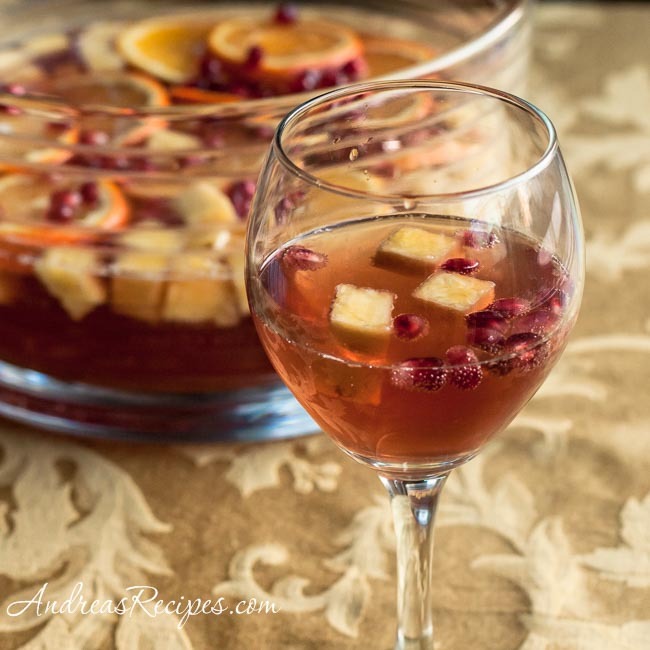 This sparkling pomegranate punch looks gorgeous on the table and has the added bonus of wine-soaked fruit to nibble on as you sip. And it’s easy, just prep the fruit and dissolve the sugar in the pomegranate juice ahead of time, then simply pour all the ingredients into a bowl when you are ready to serve. We would like to thank you for following our food and garden adventures on the blog, and we wish you and your loved ones a happy, healthy, and prosperous New Year. Cheers! MAKE AHEAD: In the small bowl, dissolve the sugar in the pomegranate juice. Store with the prepared pineapple, pomegranate seeds, and sliced oranges in the refrigerator for up to one day ahead. 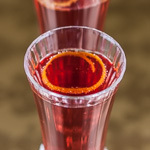 SERVE: In the punch bowl, stir the sweetened pomegranate juice together with the sparkling wine and Reisling or Moscato wine. Add the orange slices, diced pineapple and pomegranate seeds. 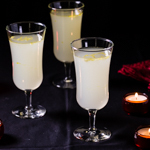 Serve the punch in stemmed glasses, adding ice cubes if desired. This sounds like a fabulous recipe, Andrea! I love the idea of the pineapple with the pomegranate — nice flavor combo.